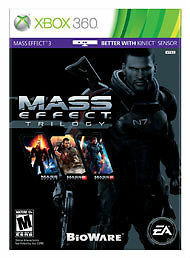 I have for sale the Mass Effect Trilogy for Xbox 360 for $45. Box is in very good condition. I tried to change the title to have the proper price listed there as I raised it obviously but it won't let me no matter how hard I tried. Still available as of 11/14/2016. Last edited by DeViLzzz; Mon, Nov 14th, 2016 at 03:03 AM.